Palmetto St. Augustine, a grass discovered and developed on a sod farm in central Florida, thrives across the southern United States, from Florida northward to coastal Virginia and westward to California, under a wide range of climatic and soil conditions, making it an ideal choice for residential and commercial use. Palmetto has an outstanding emerald green color that is truly eye catching. It performs well in full sun yet thrives in shaded areas where other grasses fail. Palmetto St. Augustine requires 3-4 hours of direct sunlight per day. It is cold hardy to near 0° F, classifying it as one of the most cold hardy St. Augustine varieties available. It is also frost tolerant and holds fall and winter color longer than Bermuda, Centipede, or other St. Augustine cultivars. It will remain evergreen in some areas of the deep South. Palmetto St. Augustine also has a massive root system, making it drought tolerant once established. Palmetto St. Augustine recovers quickly from damage by wear or minor scalping as it sends out runners to repair open areas. 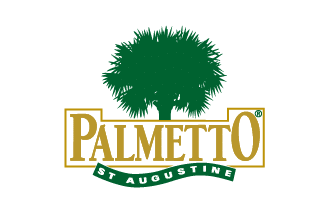 Palmetto has proven itself a superior St. Augustine for over nine years, and is now the largest volume warm season proprietary grass sold in the United States. 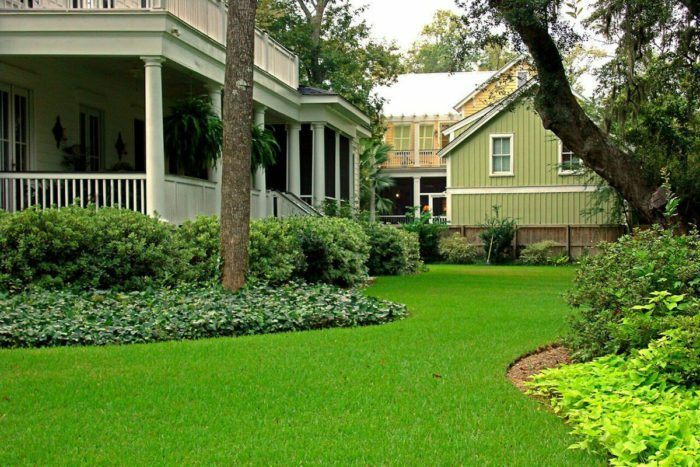 Palmetto has become the St. Augustine of preference in many areas of the country, described by many landscapers as the best overall St. Augustine. Palmetto, like all other St. Augustines, has routine installation and maintenance needs that must be properly addressed. The following information is not limited to Palmetto, but is applicable to most grasses in the St. Augustine family. Genetic purity and preservation of the Palmetto St. Augustine variety is of primary importance to Sod Busters. Only turfgrass producers licensed by Sod Busters are authorized to grow Palmetto for sale. All licensed Palmetto production is monitored by Sod Busters through ongoing quality control and quality assurance programs. Sod Busters has developed the most comprehensive St. Augustine quality control system in the country. To ensure optimum quality and performance of Palmetto, users must implement proper care and maintenance. This care and maintenance has been formalized below in the Best Management Practices (BMPs) for Palmetto St. Augustine. These BMPs are written as a guide and should be modified as local climate, soil, and environmental conditions dictate. It is important to note that no “magic fertilizer” or “super chemical” will solve all problems or make any turfgrass perfect. Through consistent application of the BMPs and on-going evaluation, education, and modification of these practices, however, users will greatly enhance the quality and performance of Palmetto St. Augustine. The described maintenance information also applies to many semi-dwarf St. Augustine grasses. It is recommended that users identify the specific variety of St. Augustine being used, and that information be gathered pertaining to BMPs for that cultivar. Installation and the care taken during the initial days that follow are the most critical factors in determining the long-term quality and performance of any turfgrass, including Palmetto St. Augustine. Harvesting and transplantation are extremely stressful to turfgrass and precautionary measures should be taken to help reduce further cultural and environmental stresses. 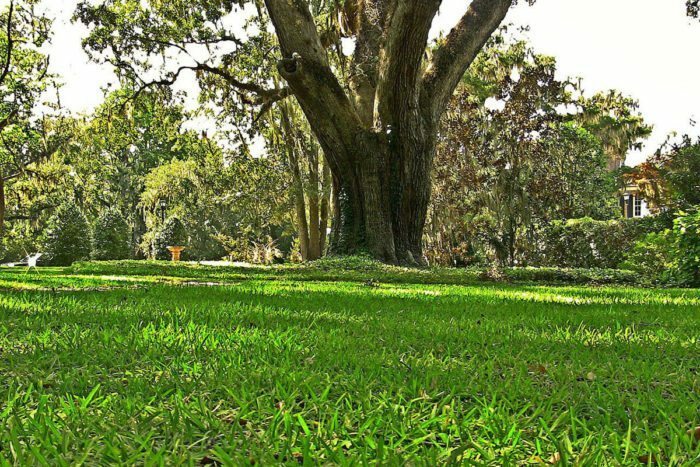 Palmetto is a tough, hardy turfgrass that, once established, produces a beautiful lifetime lawn and landscape. Proper care, including pre-installation soil preparation and limiting time on the pallet to less than 24 hours, yields positive results. Improper care, especially during the initial 24-hour period after harvest, can cause death of the turfgrass or damage that results in lengthy recovery and additional expense. This potential damage is magnified during hot, humid months. An installation procedure that is acceptable during cool weather may cause extensive damage during hot weather for any St. Augustine grass. New installations are often uneven, and care should be taken not to scalp high areas. A common mistake is not to mow a newly installed lawn, which slows establishment and encourages the turf to become “leggy”. Newly installed turfgrass can be susceptible to insect damage, especially armyworms and webworms. New grass is more vulnerable than established turf due to the temporary loss of a deep root structure. Armyworms and webworms prefer new grass compared to established turf due to the “tenderness” of new growth. During stressful times of the year, i.e. extremely wet and/or hot periods, a preventative fungicide should be applied at the time of installation. Improper use of herbicides can severely damage or kill Palmetto. Although Palmetto exhibits good disease resistance, fungal problems can occur during prolonged periods of adverse environmental conditions. Once established, Palmetto requires water on an as-needed basis. Overwatering encourages excessive growth, disease, root rot, and poor aeration of soils. Most lawns are overwatered, not underwatered, which wastes resources, creates a shallow rooted “water dependent lawn,” and potentially damages the turf. Make routine observations of the landscape and learn the signs (i.e. wilting) that indicate when irrigation is required. Contrary to popular belief, although St. Augustine is shade tolerant, it will not grow in a fully shaded area. It requires at least 3 to 4 hours per day to maintain a lush appearance. Always apply a fungicide as a preventative during the growing season (May through October) to prevent disease. Always water St. Augustine in the morning, not the evening, as to allow the moisture to evaporate and therefore prevent disease.